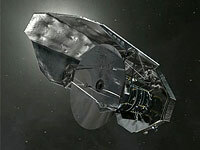 Two large Herschel guaranteed time key programmes have observed the COSMOS field. The data from these programs are publicly available and can be obtained via their respective website linked below. You can also learn about the Herschel Extragalactic Legacy Project (HELP) in Other tools. Information on the Super-deblended photometric catalogue including Herschel bands can be found in Photometry. HerMES (PI: S. Oliver) is a deep far-infrared/submm imaging survey of the most widely studied blank extragalactic fields with the SPIRE instrument onboard the Herschel Space Observatory. As part of this survey the COSMOS field was observed at 250 μm, 350 μm and 500 μm over the full 2 square degree field (see Oliver et al. 2012). The SPIRE data can be downloaded from this HerMES archive page.